New Board went around and introduced themselves. Work with DNR on a regular basis. Thank You Mike Fitzpatrick for Groomer donation. Thank You Dean Fitzpatrick for trailer donation. With all the donations total out of pocket cost is $1000 for registration and insurance for equipment. River Bends is the only trail at this time being groomed. Stoney is interested in looking at us grooming for them. The only place to MTB at this time is the trolley trails. Jeremy is meeting with them. 10 shops already signed up. We now have auto renewal. 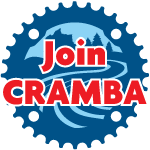 More members mean we go from 60/40 split to a 50/50 split from IMBA. IMBA has a patrol video out. Will have a training session in April. Stoney- Rebuild board walk, rock garden. There is new bike repair stand. Holly- Stay away HUNTERS! Looking at trail day in June. Addison- BOB is in CHARGE!!! Bald Mtn- Stay off cross country ski areas that are groomed by DNR. CRPT- New bridges, working on signs for two traffic for RB/CRPT trail. Will work on soft area along M53. Got a nice donation for trail. River Bends- 2.5 miles scouted for new trail. Park and Rec. has eagle scouts that want to do projects. Bloomer- There is a whole new bridge in the tech loop. Working on future projects. Looking at doing a Thursday ride next year. June 1st MTB 101 Shelby Twsp.